Best Air Purifier In India 2019 - A MUST READ Guide! For Indians, especially Delhiites, the news of the rising pollution, more so after the festive periods, comes as no surprise. To put things into perspective, currently, India makes up for 11 out the 12 most polluted cities in the WHO list. While there is little you can do to control the pollution outside, in your homes you have the power to give your loved ones the safe haven their lungs and minds need. This is why we tested out several models and created the ultimate guide to the best air purifiers in India. Dyson Pure Cool Air Purifier: This Dyson air purifier is the ultimate beast. It clear all kinds of viruses, bacteria, VOC’s odor, dust etc. to give you 99.97% clear air and works its magic in less than 60 minutes. You also get real-time air quality updates on your mobile and is really low maintenance. 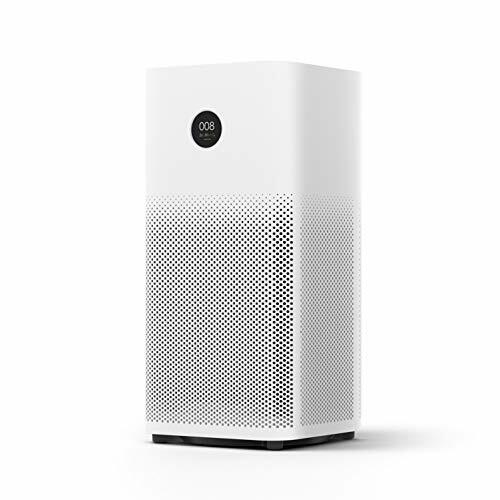 Mi Air Purifier 2S: The 2S uses a 3-stage filtration to keep the air free from tiny allergens and pathogens. It also syncs with your mobile giving you filter change notifications etc. and works in a room of size 350-400 sq. ft. in under 25 minutes. Plus, it will cost you less than Rs. 10,000. From vacuums to air purifiers, Dyson in hands down the best brand with it comes to home improvement appliances and here’s why the TP04 Air purifier is so highly rated. Automatically senses and reports air quality levels (PM 2.5, PM 10, VOC, NO2 & overall AQI) on LCD screen and Dyson Link App in real-time; only purifier to report ALL of these separately. 360 degrees Glass HEPA Filter & Tris Impregnated Activated Carbon Filter capture 99.95% of harmful ultra-fine pollutants & allergens as small as PM 0.1. To give you a room free of odors, smoke, VOC’s, gases, and 99.95% viruses and allergens (even tiniest of ones) working in tandem are the Tris-Impregnated Activated Carbon Filter and a Glass HEPA Filter. So cleaning up a 600 sq.ft. takes the Dyson just 60 minutes. 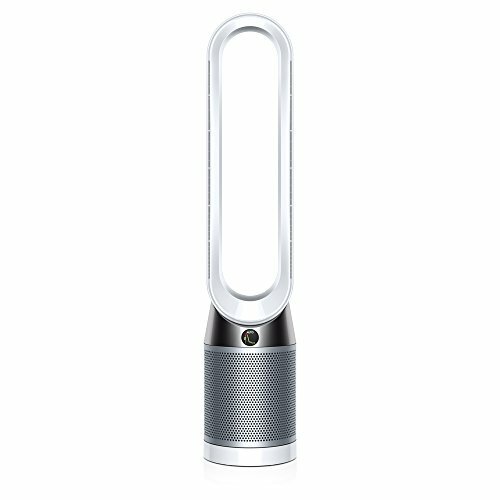 Plus, with the Dyson Patented Air MultiplierTM technology the purifier can deliver a whopping 360 liters of fresh air every second (yes, I said per second). This air is then well distributed to all corners of the room with the help of the 350-degree oscillation (also adjustable to 90 or 45 degrees). But what really puts Dyson atop the pack is its ability to display air quality levels in real-time without you having to press a button via the LCD screen or even app link (after all, the proof always lies in the pudding). The screen or app will also notify you when filters need replacement which takes a few minutes and needs to be done only once is 6-8 months. It has an auto mode where it detects pollution levels and itself sets the purifier for desirable quality levels, earning it the title of ‘Set it and forget it air purifier. Plus, you can manually choose from 10-speed settings as well. And lastly, to ensure you have a sound sleep the purifier is equipped with ‘night settings’. The setting will continue the same purification at the quietest and dimmest possible settings. On the downside, the purifier is on the expensive side but considering the air pollution levels in the country and its consequences on your health, it’s worth every penny. Also, you cannot keep it against a wall as the purifier is blade-less and the wall blocks the oscillation. From another popular brand in India, comes a top-notch mid-range air purifier and here’s what’s to love about the Philips 2000 AeraSense Air Purifier. With 3 smart auto modes, the Philips 2000 gives you complete control over the air quality in your room. These modes are General, Allergen and Bacteria & Virus mode. In the general mode, the Aerasense Technology detects particles tinier than PM2.5 and automatically adjusts the airflow of the purifier to maintain desirable air-quality (told you, it’s smart). The Allergen setting is suited for those that suffer or airborne allergies. The purifier automatically detects any activity that may increase in allergens like vacuuming etc. and manipulates airspeed accordingly. Similarly, the bacteria and virus mode clears about 99.9% of harmful pathogens. In case you want to manually adjust the settings, you can choose from 5 different speed settings with 5 being the turbo mode for the most effective cleaning. Making all this possible are the NanoProtect Activated Carbon Filter, HEPA Filter, and the Vita-Shield IPS Technology which is capable of eliminating the finest of particles (< 15 microns). Thus it’s not a surprise the Philips 2000 has a Clean Air Delivery Rate (CADR) of 333 m3/hr. It has a coverage of 441 sq.ft. thus ideal for medium to a small bedroom or living rooms where it can deliver clean air in 60 minutes. Changing the filter does not need any guesswork or constant checks due to the indicator and in case you do forget to change, the purifier stops to avoid inefficient cleaning. And lastly, it also comes with a sleep mode for a sound sleep at night, a child lock, and also a timer (so you never forget to turn off the purifier). The 2000 Series does not display the pollution levels. Also, the filter needs to be changed rather quickly and is on the heavier side as it weighs 7.7 Kg making it difficult to move around. Clears up to 99.9% of all allergens, viruses, bacteria etc. Comes with a CADR of 333 m3/hr. 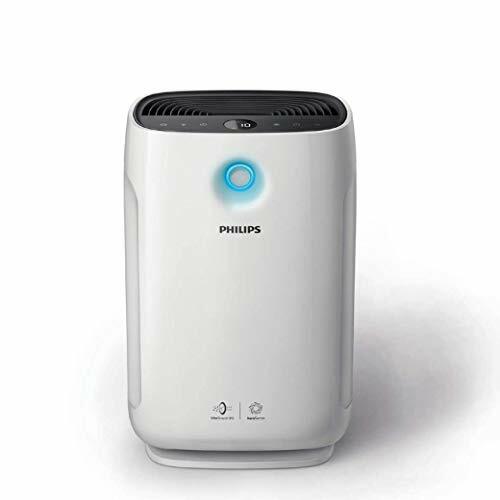 In case you’re looking Philips Air purifier for a bigger room, the Philips 3000 Series would serve you well as it comes with a higher CADR and coverage. 376 m3/hr and 818 sq.ft respectively. It also features a special vortex design for better airflow and an ultra-silent mode where it generates only 33 DB of noise. The Mi Air Purifier 2S is an Amazon best-seller mainly because it offers the best value for money by perfectly combining both efficient purifying and cost-effectiveness. To keep your room allergen, dust pathogen, and even odor free, the Mi S2 uses a 3-layered filtration system. And how well they perform, can be seen on the OLED screen which will show you real-time stats on your room’s air quality. The air purifier works perfectly well in rooms of size 400 sq. ft. and can have pollutant-free in a mere 10-15 minutes mainly due to a clean air delivery rate of 310 m3/hr. You can also set the timer, adjust fan speed, get notified about filter cleaning or simply monitor air quality through your mobile using the Mi Home App. Or if you’re too busy lazing around on Sunday afternoon, let Alexa make those adjustments for you. Lastly, the purifier’s display detects ambient light and adjusts itself accordingly so it does not interfere with sleep. Further, supporting that is the almost noiseless operation especially when in sleep mode. The Mi S2 is only suited for small rooms and living rooms due to its lower coverage and CADR. The bigger the room the longer it may take for purification. Also, you will have to change the filters every 4-5 months. But if you need one that won’t blow your budget and yet give you pollutant-free room, the Mi S2 is the best air purifier for a home in Delhi. 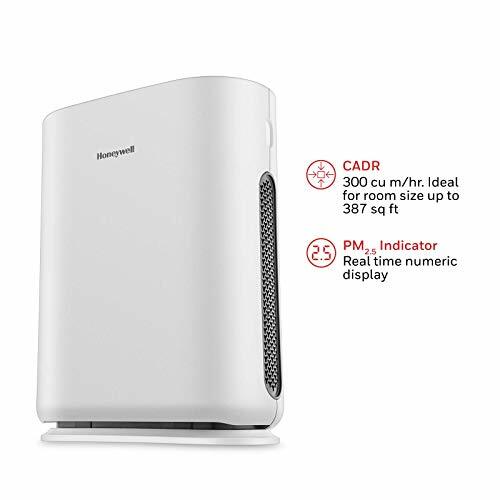 Honeywell is another well-established brand in the Indian market and their Air Touch i8 air purifier is just another example of why. One of the standout features of the Air Touch i8 is the long filter run-time i.e. 3000 hours uninterrupted purifying (requires no cleaning, no replacing). And when it does require cleaning you will be notified about it so there isn’t any guesswork. To give you fresh air, the purifier perfectly combines the purifying powers of HEPA and Activated carbon filter. This makes it capable of removing microscopic pollutants of size 0.3 microns and even odor, VOC’s etc. (pretty much everything you do not want to be breathing in). Then there is also the Washable pre-filter that keeps out dust, pet dander etc. If you have small to medium room, the i8 should serve you well enough. Its Clean Air Delivery Rate of 300 m3/hr means it can purify a room of 350 sq. ft. in about an hour. Lastly, the purifier is also compact and easily portable and installation is a simple DIY that won’t take you more than 20-25 minutes. Plus, it is child safe due to its anti-fall design (so it won’t crash and burn at the slightest of bumps), comes with no sharp edges and also has no filters or fans exposed. On the downsides, the Honeywell is an expensive air purifier and will cost you in excess of Rs. 10000 especially considering it works only in medium to small rooms. And compared to other models of the same price range, it tends to be noisier. Also, it cannot be connected to your mobile or gives real-time updates on air quality. Don’t want to spend big money on an air purifier? Looking for a no fancy-frill air purifier? Well, the American Micronic Air Purifier has got you covered. The HEPA filter makes short work of the airborne particles clearing 99.9% of the air. The pre-filter does a good job of getting rid of the larger dust particles. And lastly, freeing the air of VOC’s, odor and hydrocarbons is the Activated carbon filter. And to give you that extra layer of protection, the purifier also features an ionizer that clears off the suspended particles by releasing negative ions into the air. It can also be turned off if need be. It also features a timer so you don’t need to be worried about manually turning off the purifier. The 3 fan speeds also give you control over the purification process and the noise. In case you find the noise to be too much you can also turn to the sleep mode which will keep the purification ongoing at the most silent and energy efficient setting. To make the most of the purifier place it only is smaller rooms as it has a coverage of around 200 sq. ft. and a CADR of 220 m3/hr. The American Micronic is limited in functionality and does not feature any of the comfort features like app link, real-time updates etc. And lastly, the filter will need to be manually checked for cleaning regularly otherwise the purifier tends to clog up and does not feature a notification for it either. Offers no app links, real-time updates etc. How Do I Choose an Air Purifier? Buying the best air purifier always comes down to looking for the right features so here’s walkthrough on them. HEPA stands for High-Efficiency Particulate Air. Made from fiberglass, these filters are so popular because they are capable of cleaning 99.97% the air which includes fungi, mold, smoke, harmful gases, pet dander etc. Furthermore, even particles of size 0.3 um (micrometers) stand no chance against HEPA filters. And in case you didn’t know, anything smaller than 10 microns is not even visible to the human eye. And that’s another filter type you’ll find being mentioned in our top picks quite often, simply because of its effectiveness. These filters use the process of chemical absorption to clear the air of smoke, foul odor, VOC’s (Volatile Organic Compounds) etc. It’s this ability that makes purifiers with activated carbon filter a must for anyone living in Delhi. To make mere pieces of powdered carbon so powerful at absorbing the contaminants in the air, they are treated to be highly porous. Did you know Ionic Filters can clean super-small particles i.e. particles of size 0.01 microns? To do so, the filter releases charged ions into the air to which the contaminants and pollutants react. Another great aspect of these filters is that they hardly need any replacing and can be washed if need be. Though cleaning it can be tedious due to the fact that the particles remain charged and thus stuck to the duct. Air purifiers with these filters are hardly every recommended. This is mainly because they release ozone. While the ozone does help with cleaning suspended particles, it isn’t the best for asthmatic patients and can trigger other lung-related problems as well. CADR is the abbreviation for Clean Air Delivery Rate. It is the measurement of the volume of clean air a purifier can deliver every hour and is measured in cubic meters (m3). The higher the CADR the better, as it will take lesser time to get rid of the polluted air. Tests to determine the CADR of a purifier are performed by the Association of Home Appliance Manufacturers (AHAM). The criteria for testing includes performance against 3 main air pollutant namely Dust, Pollen, and Tobacco Smoke. ACR or Air Changes Per Hour is the number of purification cycles purifiers can finish within each hour and is measured with an x. In other words, it measures the efficiency of the air purifier and thus once again, the higher, the better. This measurement is particularly helpful for asthma patients in need of an air purifier (one with a 5x or 6x rating would be ideal). But keep in mind, the purifiers with a high ACR are less energy-efficient. Whether an air purifier is fit for your room or not is based on the coverage and the coverage in relation to your room size has a bearing on both the CADR and ACR. Let’s say your room is about 270 sq. ft. and the coverage of your air purifier is 300 sq. ft. This means the purifier will function at its best. In case the coverage is lesser than the room size, the purification will take longer or can also be inefficient. You bought an air purifier to make life easy, isn’t it? Imagine it making loud noises or night or having a light that doesn’t dim until turned off? Luckily, most of our picks come with a sleep mode that adjusts the fan and light settings automatically to ensure you enjoy a good night’s sleep, always. On a general level, an air purifier with fans tends to be noisier than blade-less purifiers. Firstly, you do not want a purifier that needs constant filter replacement or even cleaning because that adds to the cost. Ionic filters are a little harder to clean but need less replacing as compared to active carbon filters and HEPA filters. So in case you’re getting a purifier with either of those filters, you’d want to know the cost beforehand. Since the filters trap all the dust and contaminants, they get clogged up and if left unclean can result in inefficient purification. Also, keep in mind, washable filters are not a feature cheaper air purifiers offer. These filters need replacing. If you’re going to be using the purifier in multiple rooms then you would want it to be light and portable so it can be carried from one room to another. But portable purifiers may lack the power or coverage while the bigger and better models can be more expensive. In the end, the choice comes down to your needs and budget. While your purifier isn’t a vacuum (so your room won’t be 100% dust free), air purifiers do trap a large number of dust particles present in the air. This, in turn, makes breathing easier and will also reduce the dust that settles on your tables, shelves etc. The HEPA filter plays a vital role in capturing the dust. How do I get the most out of my air purifier? Should I leave the air purifier on all day? It is safe to leave the air purifier on all day. The only concern is of your electricity bills shooting up but on the bright side, most purifiers are built to be energy efficient. How much electricity do Air purifiers consume? Most energy efficient air purifiers consume about 25-60 watts. Even if the purifier isn’t designed to be energy efficient, it won’t consume more than 200 watts. Sounds too much? Well, it’s way lesser than your desktop, TV etc. and will save tons on the medical bills (as Delhites about it). 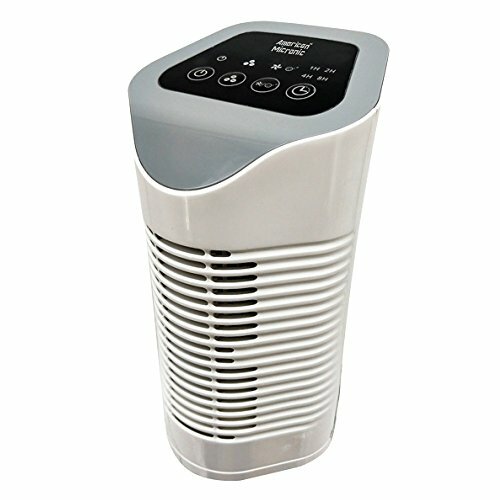 Can an air purifier be harmful to health? While, air purifiers are designed to improve health, some purifiers like those that use Photo-Catalytic Filter release ozone which can be quite dangerous for asthma patients. Since such purifiers (ones that release ozone) will have a mention about it in their description you couldn’t go wrong. So why do some models release ozone? That’s in order to help tackle strong odors and chemicals present in the air. Best Water Purifiers in India 2019 – A MUST READ Guide!